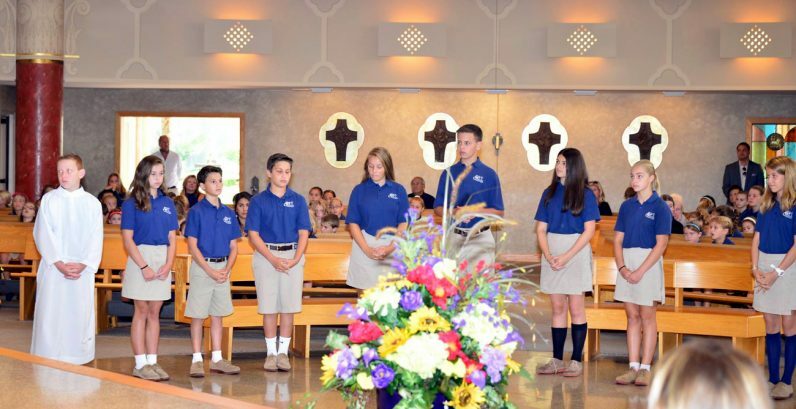 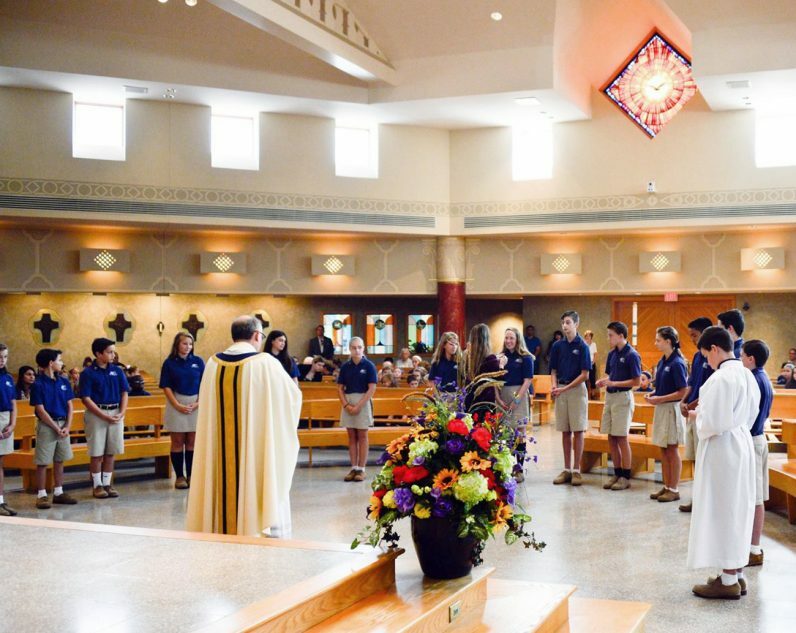 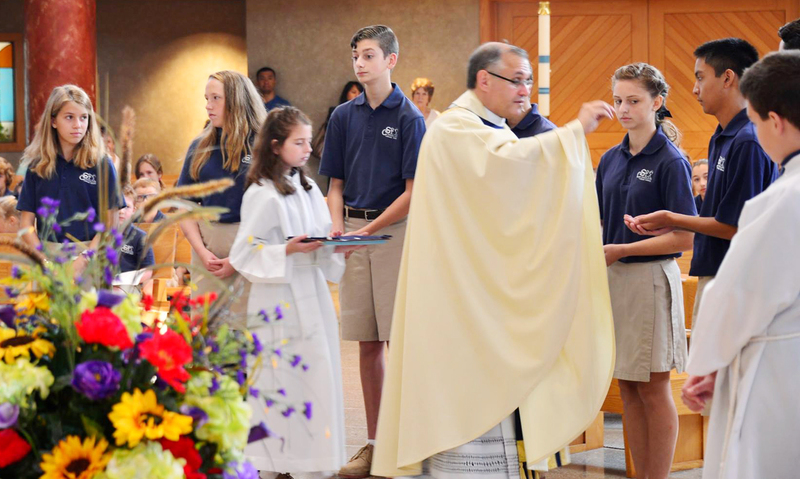 The eighth graders of St. Cornelius School, Chadds Ford, received Leadership Crosses from the parish’s pastor, Msgr. 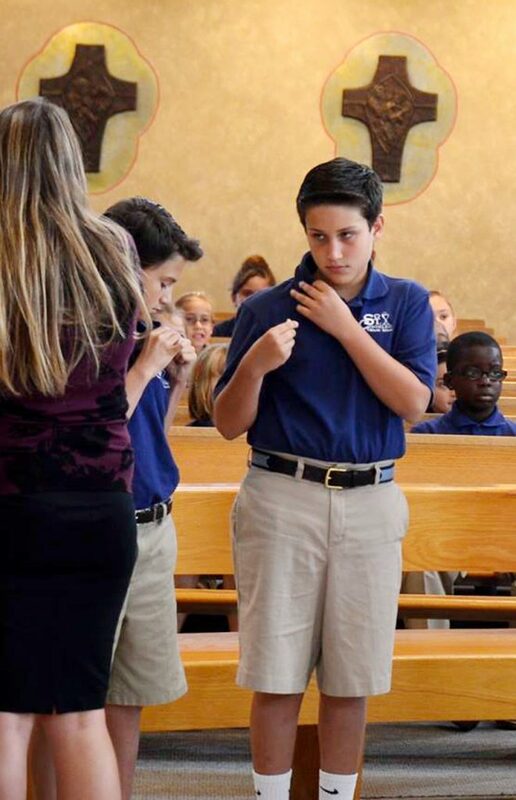 Gregory Parlante, Sept. 8 at the Opening School Mass in St. Cornelius Church. Msgr. 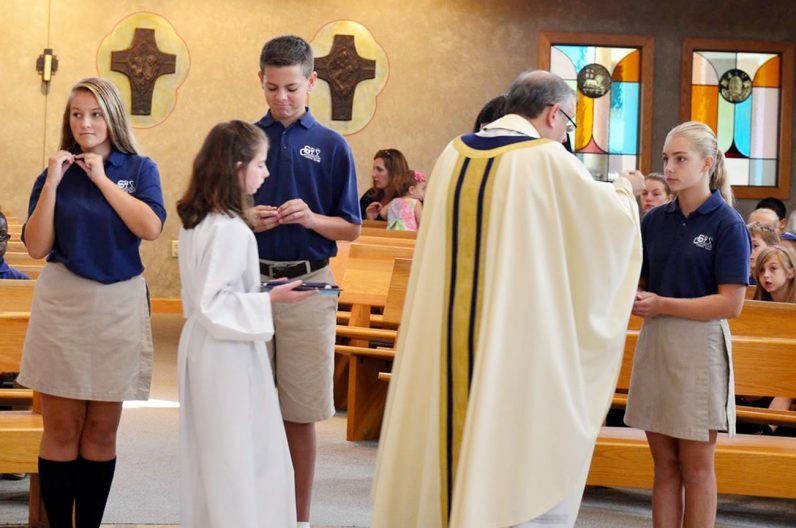 Gregory Parlante, pastor of St. Cornelius Parish, distributes Leadership Crosses to eighth grade students of the parish school.